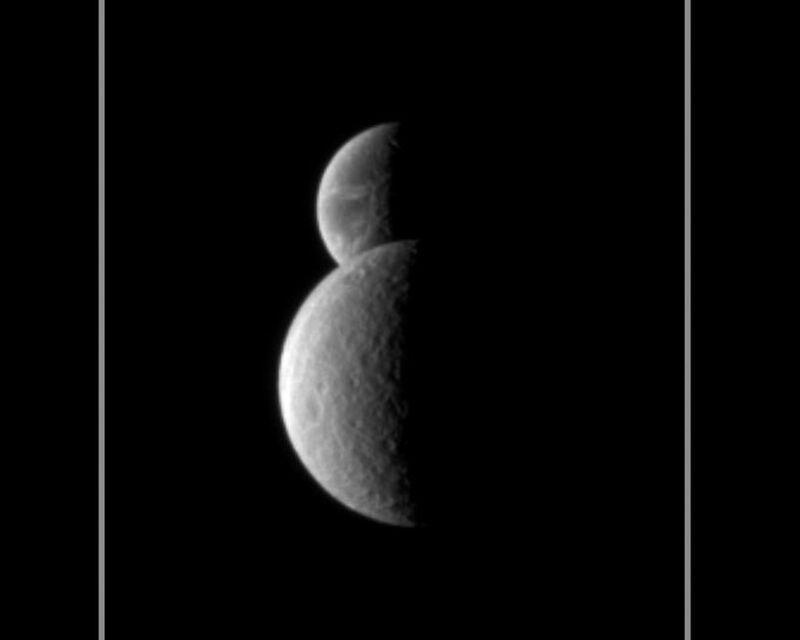 Saturn's moon Rhea passes in front of Dione, as seen from the Cassini spacecraft. These images are part of a "mutual event" sequence in which one moon passes close to, or in front of, another. These observations help scientists refine their understanding of the orbits of Saturn's moons. Rhea (1,528 kilometers, or 949 miles across) is about 2.1 million kilometers (1.3 million miles) from Cassini in this image. Dione (1,123 kilometers, or 698 miles across) is about 2.6 million kilometers (1.6 million miles) from Cassini. 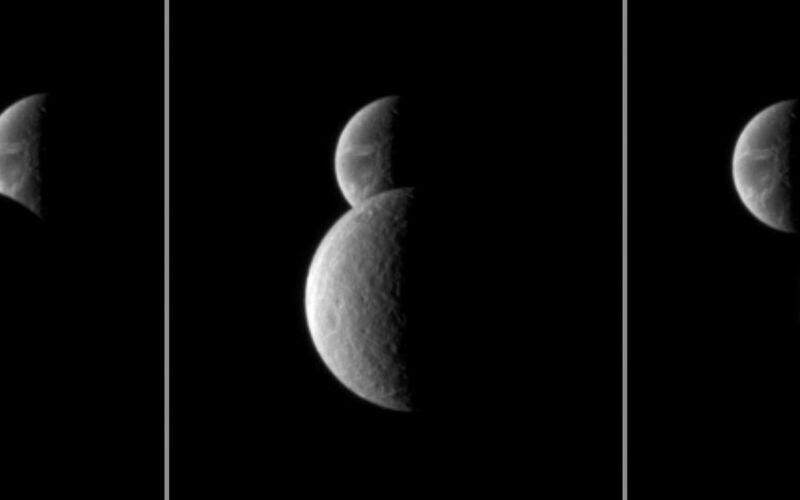 The images were taken in visible light with the Cassini spacecraft narrow-angle camera on Oct. 22, 2009. Scales in the original images were 13 kilometers (8 miles) per pixel on Rhea and 16 kilometers (10 miles) per pixel on Dione. The images were contrast enhanced and magnified by a factor of two to enhance the visibility of surface features.